Children’s health advocates who have been working on developing trauma screenings were thrilled to see Gov. 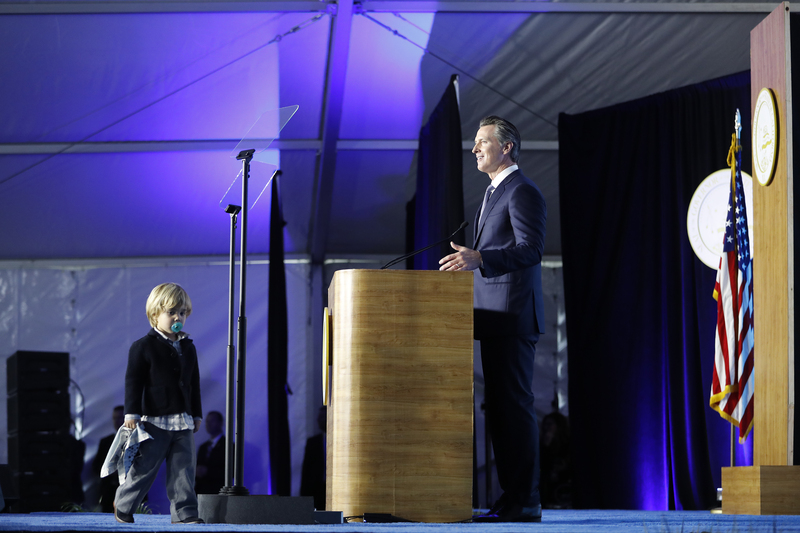 Gavin Newsom’s first California budget proposal, which designated $45 million for screenings to identify adverse childhood experiences, or ACEs. Children’s health advocates say the governor’s overall proposal is the most ambitious they’ve ever seen when it comes to early childhood health. The prenatal-through-age-5 population is often overlooked since young children tend to be relatively healthy, advocates say. But investments in preventative health services during that critical time can make a big difference throughout childhood and later. This week, Newsom announced that Dr. Nadine Burke Harris, a pediatrician known nationally for her work on ACEs and toxic stress, will become the state’s first-ever “surgeon general,” while longtime children’s health advocate Kris Perry will help implement his early childhood policies. That announcement comes on the heels of a proposed budget emphasizing early childhood health, investments that signal “a new day” in California, said Angela Rothermel, a senior associate for early childhood policy at Children Now. Most striking to her is the comprehensive approach from pre-natal investments to full-day kindergarten, she said. In addition to full-day kindergarten, the proposal also includes expanding public pre-school to 4-year-olds from low-income families as well as state-subsidized child care programs. Along with the ACEs screening and service referrals, the proposed budget calls for increased payments for early and routine developmental screenings for children in Medi-Cal, California’s Medicaid program. The proposal would also fund expansion of home-visiting programs for low-income new mothers, mental health research grants and increased training for public mental health providers. Also noteworthy: Money to expand the Black Infant Health Program, which aims to help African-American women have healthy babies through support groups and case management. That call for funding signals the importance of addressing persistent disparities in infant mortality, said Kenney of First 5. In-depth media coverage in both national and California outlets has likely boosted awareness of these disparities, she said. And, Newsom has also proposed expanding paid family leave to six months after a child’s birth. Prioritizing investments in early childhood is supported by brain development research, which shows a child’s earliest months and years — even before birth — are a key window of both opportunity and vulnerability, according to Elisabeth Wright Burak, a senior fellow at Georgetown University’s Center for Children and Families. Investments in home visiting, mental health services, and better access to affordable health coverage make up the foundation on which that kind of brain development rests, she added. Programs that support parents’ role in their child’s development, such as home visiting, have a strong and growing evidence base, she added. The governor’s budget designations are also in line with the research of James Heckman, a Nobel-winning economist at the University of Chicago who has looked at the importance of investing in very young children. “High-quality early childhood development programs can reduce chronic disease and health care costs,” according to his health research toolkit. Heckman has also explored the benefits that arise from early childhood interventions among disadvantaged children – for whom “society receives a higher return from targeted investments.” His most recent research finds a 13 percent return on investment for high-quality childhood education programs for birth to age 5 — even higher than the figure he had previously calculated after analyzing programs for 3-and-4 year olds. And the details of all these policies still need to be hashed out. For example, while the proposed budget calls for funds directed at ACEs screenings, the exact screening tool used has yet to be determined. Oftentimes, even though there’s a consensus around a policy idea, the devil is in the details, said Dr. Ariane Marie-Mitchell, a preventive medicine physician and assistant professor at Loma Linda University who has been part of an effort to review trauma-screening tools for young children. Marie-Mitchell and her colleagues at Loma Linda have developed a tool called the “Whole Child Assessment,” which can be used to screen for ACEs and other social determinants as part of routine visits to the doctor. An advantage of the assessment is that it makes screening for trauma more feasible within the tight constraints of 15-minute office visits.